A good plumber can be hard to find these days, so many people are hiring not trained apprentices or posing as qualified plumbers and carrying out shoddy work. Unfortunately, a cowboy plumber could end up being your worst nightmare. The damage they cause is often extensive, and it can be challenging to get your money back as they disappear without a trace. Poor plumbing work can cause serious issues in your property; you could end up spending way more than you anticipated and can have extensive damage to your property from floods and pipework back up’s. If this happens to you, it can be really frustrating and hard to come to terms with the damage that a cowboy plumber has done to your home. A good plumber takes pride in their work and shows it off extensively – you can most definitely tell the difference between shoddy plumbing work and high-quality plumbing fixtures even without any plumbing experience! So if you have had your fair share of awful plumbers and want to know how you can spot good plumbers, we have devised a list of the common qualities of an experienced, qualified plumber. So keep reading! Most of the time, dodgy plumbing work often includes boiler servicing Aylesbury, which can leave you in an extremely dangerous situation if not carried out properly – you are susceptible to gas leaks and even Carbon Monoxide poisoning. Most certified gas engineers will have accreditations to back up that they are qualified to carry out servicing, repairs and boiler fittings. This includes anything like gas safe certifications to being Worcester boiler approved like our team. If your plumber can’t provide you with any proven accreditations, we recommend using a company that does – as this means they are either not experienced enough to be eligible or aren’t even qualified enough to apply. 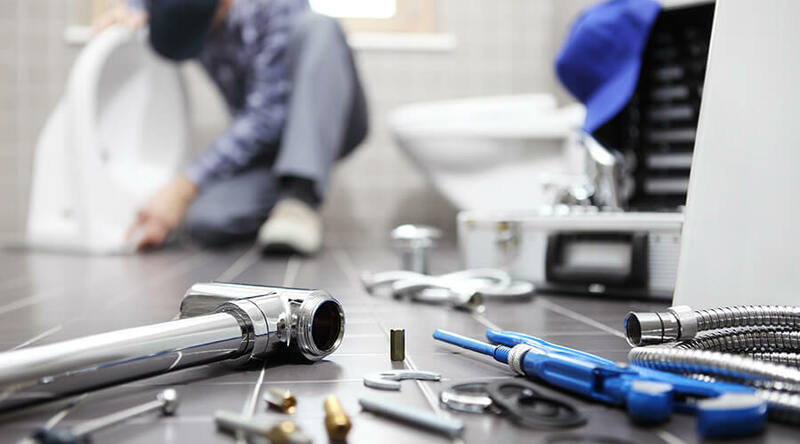 You can typically locate plumbers with approved accreditations on sites such as Trustatrader, or plumbers will normally advertise their accreditations on their website to show customers that they are accredited and qualified. If a plumber approaches you claiming that they can carry out boiler work, yet they are not gas safe approved – do not use them as they could put you in danger. If a plumber provides you with a straight, honest price after taking a look at the job, then this is the sign of a good plumber. Often cowboy plumbers will provide a number of quotes, and if you refuse to pay or think that the price is too high, they will knock more off of the price so that you pay. As well as this, while they carry out work in your home, bad plumbers will often find more things to do or make up scenarios to charge you more money. The reality is that they think homeowners have no idea of what they’re talking about, but it’s common sense. If you are seeing prices add up yet you have no proof any work is being done, or the plumber cannot keep you updated with the process, the likelihood is that there are no extra issues. Never pay a plumber upfront, this gives them the perfect opportunity to disappear undetected with your money, always wait until the job is completed and is of a good standard. If your plumber turns up looking like they have just rolled out of bed, this should immediately be a warning sign. Generally, people who provide good quality work, represent this in their appearance. By this we mean if your plumber has turned up in old raggedy clothes and not uniform, this could be a sign that they are not who they claim to be. Most plumbing businesses have plumbing uniform to make them stand out from the rest and to represent their company. As well as this, if your plumber is coming and going as they please at different times daily, this is unacceptable. Or if they are just not turning up at all, this is a prominent warning sign. Cowboy plumbers often replicate their quality of work in their behaviour, those who take pride in their career and pride themselves on providing high-quality plumbing work are often on time and prompt – however if life does get in the way, and your plumber does get held up, they will keep in good contact and make you aware as soon as possible. What better way to judge the quality of a plumbing company than from those who have had previous encounters with them. Of course there is room for human error, and unfortunately, people do sometimes love to be slightly dramatic. So not all plumbing companies are going to receive 100% reviews each and every time. However, this does not mean to say that if your chosen plumbing companies have received plenty of negative reviews from previous customers that they are reliable. Most people will be brutally honest in reviews and speak the truth, if you come across a company with the majority of their reviews negative – steer clear as this is often a good warning sign! When being a guest in somebody’s home, even to carry out slight plumbing maintenance it is essential that you treat the residents, as well as their property with the utmost respect. This includes cleaning up after yourself as if it were like you were never there. It is rude and unfair to make a mess in somebody’s home and to leave it there for them to tend to. A good plumber will always leave their workstation like they were never there, boiler installations and general plumbing work can be messy, but a qualified and high-quality plumber will always ensure that it is cleaned up. Find Yourself A Good Plumber Today! Now using these to tips you can ensure that you locate and hire a competent, qualified plumber rather than a cowboy plumber. If you need boiler repairs Leighton Buzzard, please be sure to contact a member of our team today! We hope that this article was helpful, if it was then why not share on social media?